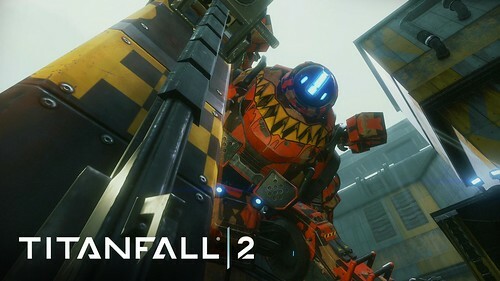 We'll be doing some Titanfall 2 tonight on PC at 7 PM EST. Drop your origin handle after the break and we'll squad up! I'm sai_tyrus on Origin. I'll have one or two with me so join up! I'll forward you the discord server info when I get on tonight if you don't already have it. Happy hunting! Blockenstein on Origin, same avatar as here and on Steam. I'm working the overnight shift tonight, but feel free to add me and I'll catch you online at some point. Hopefully I'll have some time this afternoon to try it out before work! I got the PS4 version. I'll grab the PC version as soon as there's a sale. Mine is LaAaZ. Hopefully I'll be able to join. Am downloading the game now, but don't know if I will be free tonight. All good. I'll be on ore this weekend. We'all catch each other at some point. I'll add you guys once I get home!